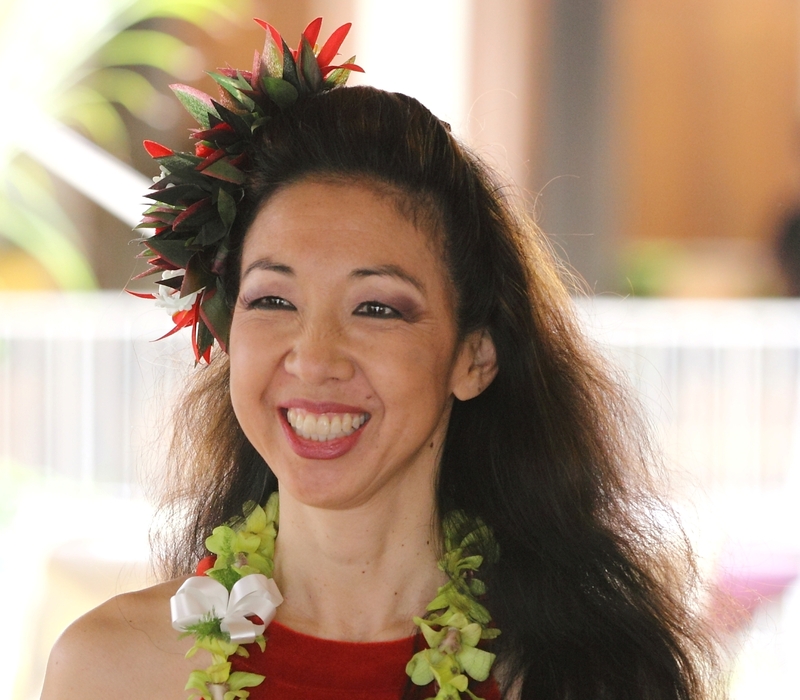 Lisa Fujii Chang began learning the art of Hawaiian Feather work in July 2003. She is a student of the late Mary Louise Kaleonahenahe Kekuewa and her daughter Paulette Nohealani Kahalepuna. She takes every opportunity to continue learning the art of Hawaiian feather work during her visits to O’ahu. She has completed 2 ‘Uli’uli (feathered gourds), 1 Lei Humu Papa, 1 Lei Maunaloa, 1 Lei Kāmoe, 1 Wili Poepoe, 3 Lei ‘Ōkole‘oi‘oi (Marigold), 4 Lei Lokelani, 2 Lei Hala and 2 Kāhili (Feather Standards which are symbolic of royalty). She is currently working on a lavender and maroon Lei Lokelani and is working on her first miniature ‘Ahu ‘Ula (Feather Cape).